The American Society of Human Genetics annual meeting was held at the Moscone Center in San Francisco, not far from DNAnexus headquarters in Mountain View, Calif. Several of us were lucky enough to make the short trip and check out what is widely considered the biggest genomics conference of the year, this time with almost 7,000 scientists in attendance. The conference kicked off with a plenary talk from the University of Washington’s Mary-Claire King, 2012 President of ASHG. Her focus, “The Scientist as a Citizen of the World,” really resonated with attendees — as evidenced not only by the energy in the room, but by how many people were tweeting from King’s address. She told attendees that scientists have a responsibility to put their knowledge and common sense to use, not just in the lab but as world citizens. She also urged researchers to remember that no question is too large or too daunting to be asked. Another session that really stirred interest centered on gene patents. Panelists, including Mark Lemley from Stanford and Lori Andrews from the Hastings Institute, discussed the Myriad BRCA gene patents in depth, adding context from other cases, such as Prometheus and a GlaxoSmithKline patent related to asthma. Regardless of your view on the patentability of genes, this was a fascinating discussion that highlighted the importance — both in the commercial market and in academic research — of linking genes to particular traits. The ASHG meeting is known as the place to give out major genetics awards, and this year’s event did not disappoint. 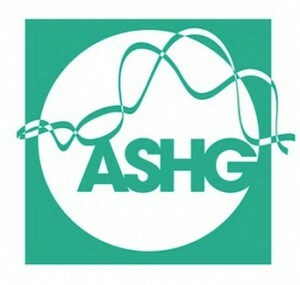 Some leading names in the field went home with new recognition, including: Uta Francke, formerly at Stanford and now Senior Medical Director at 23&Me (ASHG William Allan Award); Jay Shendure at the University of Washington (ASHG Curt Stern Award); Alan Emery of the University of Edinburgh (ASHG Award for Excellence in Human Genetics Education); and Douglas Wallace at the Children’s Hospital of Philadelphia (Gruber Genetics Prize). One award winner offered a particularly popular talk: NIH Director Francis Collins was on site to give the ASHG Victor A. McKusick Leadership Award Presentation. Collins, a longtime ASHG champion, bemoaned the state of funding for life sciences, noting that his agency’s budget is now 20 percent lower in constant dollars than it was in 2003. He encouraged scientists to promote the value of research in their communities, helping the public understand why it is so important to continue strong funding levels for scientific research. We were proud to be active participants at ASHG, with our exhibit hall booth and our luncheon workshop featuring a customer story from Anshul Kundaje, presenting his latest Encode paper, along with the latest information about DNAnexus from our CEO Andreas Sundquist. It was an honor to have so many attendees take part in our workshop — thanks to everyone for taking the time to learn more about DNAnexus. We raffled off an iPod to one of our luncheon or booth visitors, and the winner was Suleyman Gulsuner from the University of Washington. Congratulations, Suleyman! A lot of what we learned at ASHG this year was related to responsibility: our collective responsibility to promote science and the scientific approach in the world, as well as the responsibility for enabling research with or without gene patents. 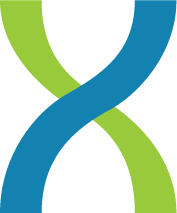 At DNAnexus, our responsibility is to provide an easy-to-use, secure, and convenient platform to facilitate research and to help scientists make connections that are important enough to share with the broader world. We consider it a privilege to be entrusted with your data, and we take that responsibility very seriously.